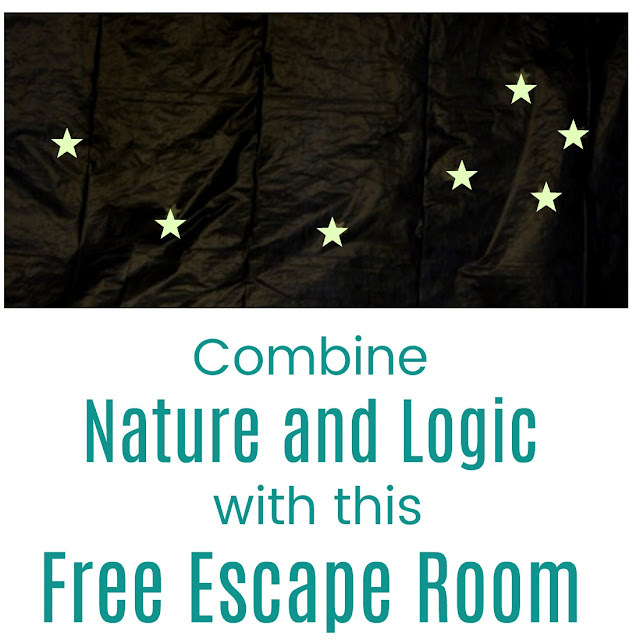 In a twist on our homeschool co-op's escape rooms, I decided to theme one about surviving the night outdoors. So instead of escaping the kids goal in this room was to locate the empty cave where they could wait out the night. For this escape room I also wanted to bring in a classic logic puzzle set up, the grid puzzle. I really have no idea if that is what it is actually called, but you know the puzzles where you get various pieces of information and mark them as x's or o's on a grid to figure out the puzzle by ruling out other possibilities. I also wanted to throw in some more hands on puzzles, like giving the kids a clue frozen in a vase of water or having them make a compass. I also wanted to make the room a little darker to simulate dusk. 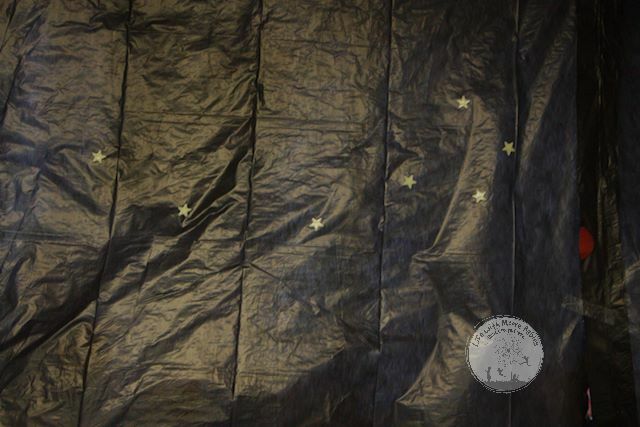 We even added some glow in the dark stars to form a couple well known constellations. 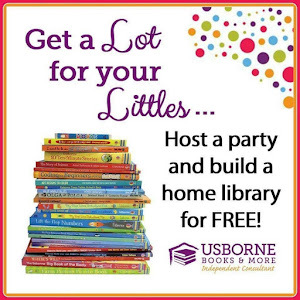 First you need to print the printables! 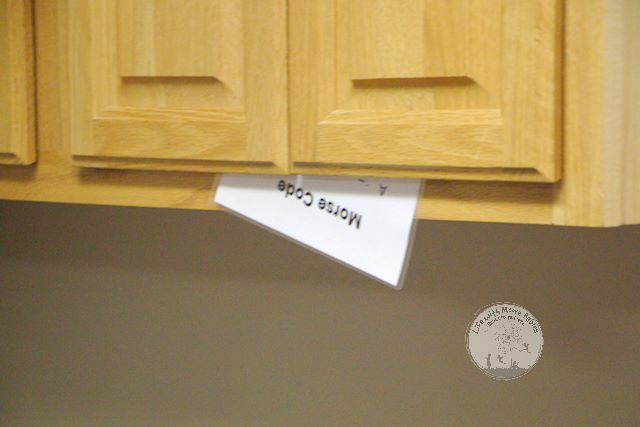 I like to laminate any pieces that will be used more than once. 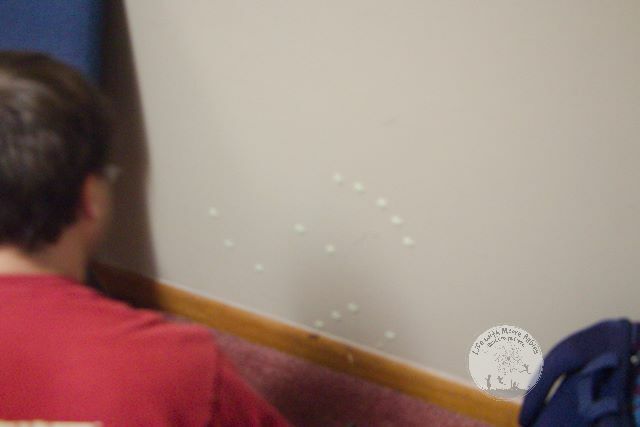 In this room, this includes the clues, tree puzzles, morse code decoder, hints, and hint needed cards. Obviously the clues and puzzles should be cut before you laminate them. If you are not already a subscriber with access to our free resources, us the form below to sign up! Prior to the room, glue the tree puzzles label to the 6x9 envelope. You will need to place all tree puzzle pieces and the tree labels in the envelope. Alternatively you could also hide the tree labels. 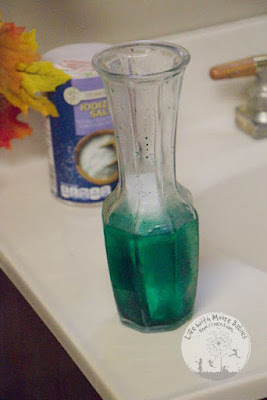 If you are using the selected seeds, place them around the room. When using the seeds, the kids should be able to deduce that the maple tree is not an option in the puzzle as its seeds are not represented. 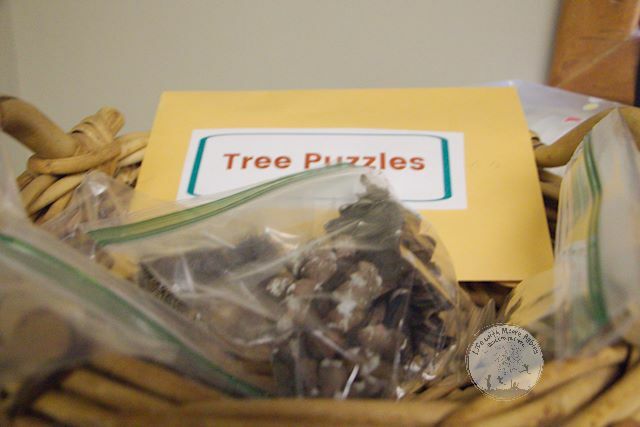 If you are not using the seeds remove the maple tree puzzle from the envelope. You will also want to hide the Morse Code decoder and all the clues. If you want to freeze a clue, place it in a vase along with some water and freeze over night. 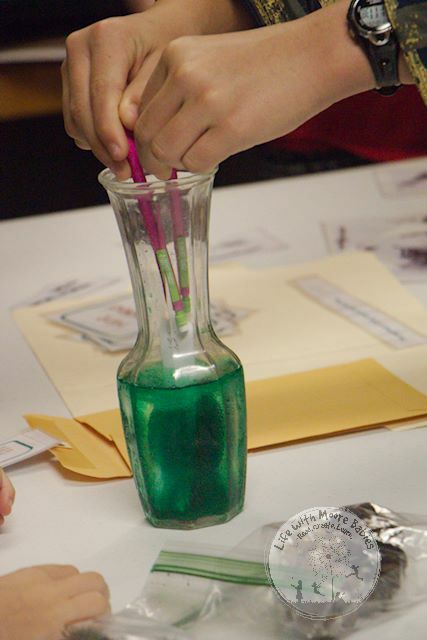 Then leave salt somewhere in the room, so the kids have a way to melt the ice and loosen the clue. Place the shallow dish with the needle, magnet, and styrofoam somewhere in the room (be sure the kids can access water in some way). 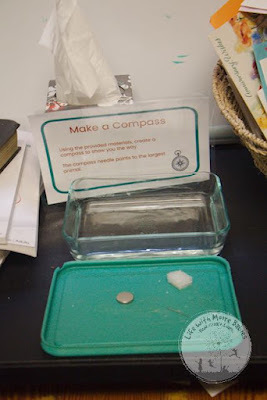 Leave the label that says "Make a Compass" near the supplies. This room can be solved in any order, but various orders make it easier than others. As I mentioned earlier the kids will need to solve a grid style logic problem using the clues they are given. They will need to identify the direction of the cave, the tree species nearby, and the animal in the cave. The Morse Code puzzle is probably the most obvious puzzle. 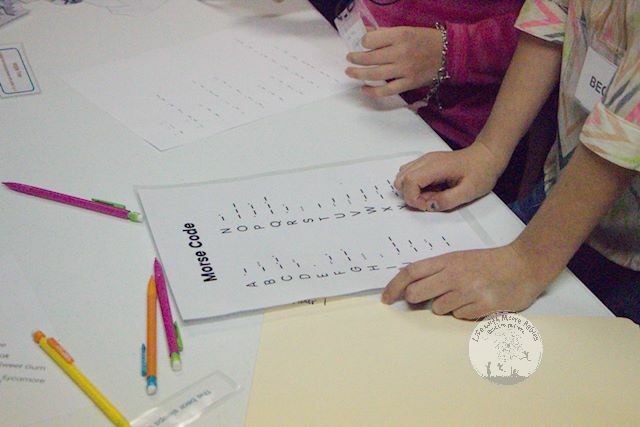 Using the decoder they will get the answer which provides them with the clue "The skunk eats fruits and nuts including acorns. Logic will tell them this puts the skunk in the cave near the oak tree once they know acorns come from an oak tree at least. 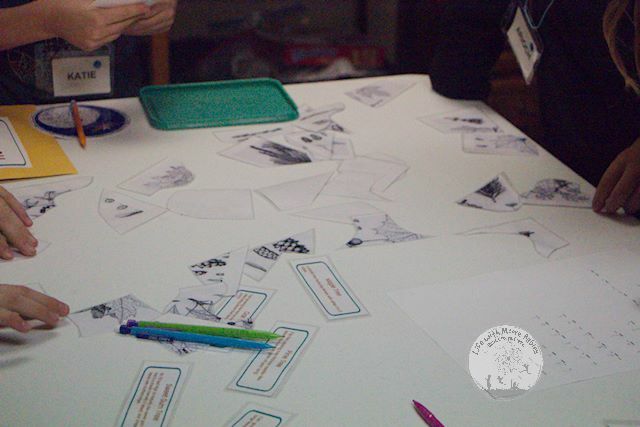 The tree puzzles will help them identify different aspects of the four tree species they are working with. 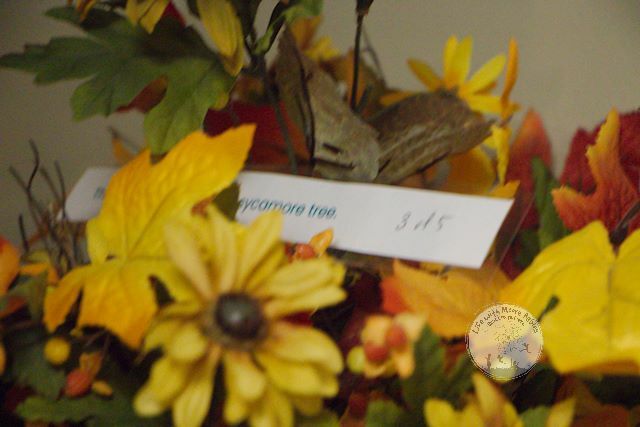 These are the sycamore, sweet gum, oak, and pine. The compass activity will help them learn about compasses and also tell them which direction north is. While this information is not entirely necessary, I think it helps when they try to decipher the star chart and just gives them a set direction to think about rather than thinking about it abstractly in their heads. If you choose to use glow in the dark stars (mainly for a fun affect) be sure to position the constellations of the correct places. I put the Big Dipper on the north horizon and Orion on the east horizon based on the time and date I set the escape room for (November 15 at 8 pm). 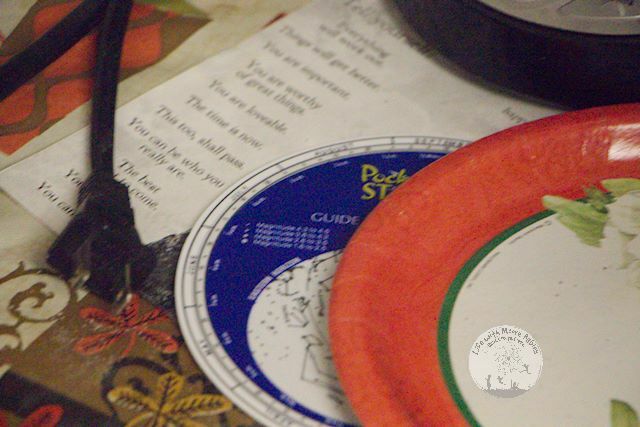 I hid the star chart in the room with everything else. Once they know the date, which is encoded as letters on one of the clues, they can set the star chart to see the sky that night which enables them to find the other constellations mentioned in various clues (Pegasus and Taurus). Watching the kids with the clue I froze in the vase was great. For the most part they completely missed the salt and tried alternative methods to rescue their clue. Eventually they all did find a way to get it out whether it was with salt or water. Once they had gathered all their clues, they could work out their logic grid. 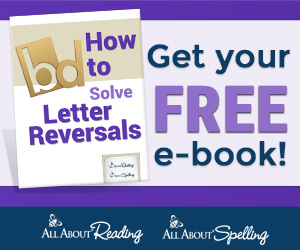 They may need some help getting started with the the logic puzzle, but once you show them how to use x's for incorrect information and o's for correct they can generally figure it out. In the end they need to recognize that they are spending the night in the cave in the west where the pine tree is. All of my classes so far were able to escape, but they all used the majority of their hints as well, so this was definitely a good introduction to logic puzzles plus just some general problem solving skills like the frozen vase! New to Escape Rooms? 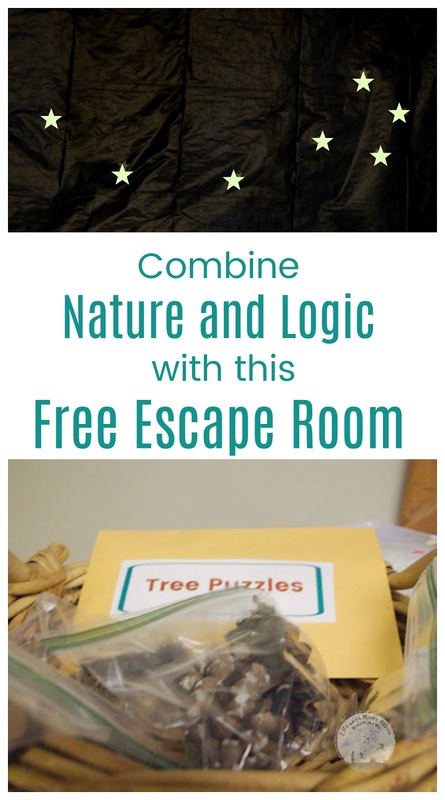 Learn why I use escape rooms for teaching critical thinking here, and find more free escape rooms here!